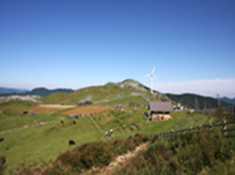 Ehime is considered as one of the most popular tourist destinations in Japan. The prefecture is blessed with an abundance of natural spectacular landscape and cultural heritage including Dogo Onsen, the country’s oldest hot spa resort with a history dating back more than 3000 years. Surrounded by sea and mountains, Ehime enjoys a mild climate throughout the year making it the perfect location for a relaxing peaceful vacation. Matsuyama is the capital of Ehime and has its own castle which is considered the symbol of the town. For more information about Ehime prefecture, see their official tourism website. Air - Matsuyama airport is accessible from the city centre in just 25 minutes by Limousine Bus. The airport operates daily domestic flights between Tokyo, Nagoya, Osaka, Fukuoka, Kagoshima and Okinawa. Click here for its website(Japanese only). Matsuyama Castle dates back to 1628, but was re-constructed in 1820 after the original five-storied one was destroyed by lightening. 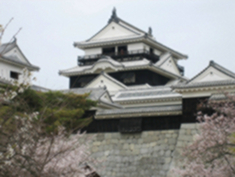 The castle is located at the top of Mt.Katsuyama and can be reached by ropeway. From the hilltop square visitors can enjoy wonderful views over the city of Matsuyama and Seto Inland Sea. 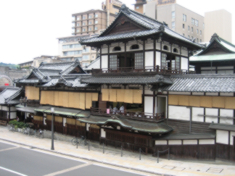 Dogo Onsen is regarded as the oldest hot spring in Japan dating back to over 3,000 years. The Main Building, the symbol of Dogo spa resort, was completed in 1894 and has been designated as an Important Cultural Property. 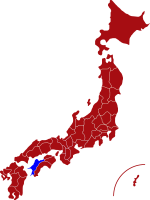 Ehime Shikoku Karst Plateau extends for over 25km between the borders of Ehime and Kochi Prefectures, and is considered one of the three major topographies of Japan. Each season brings its own unique stunning scenery and spectacular far-reaching views. 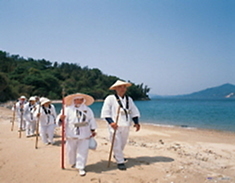 The 88-Temple Pilgrimage - Shikoku Island is home to one of the great pilgrimages of the world. Every year the island attracts thousands of visitors from all over the world keen to visit some or all of the 88 temples.